A perfect fit for a fair maiden of the Middle Ages or a noble denizen of the Renaissance, the Ladies Handwoven Medieval Blouse is handmade from natural materials using the time-old techniques that created its historical counterpart. Sewn and stitched by hand from handwoven cotton, this historical garment is sure to please with its quality. It follows a traditional medieval design with a wide adjustable collar and elbow-length sleeves. Drawstrings allow you to adjust their look and fit. Lace trim lines the small V-opening at the neck. Sides slits offer increased movement and comfort. 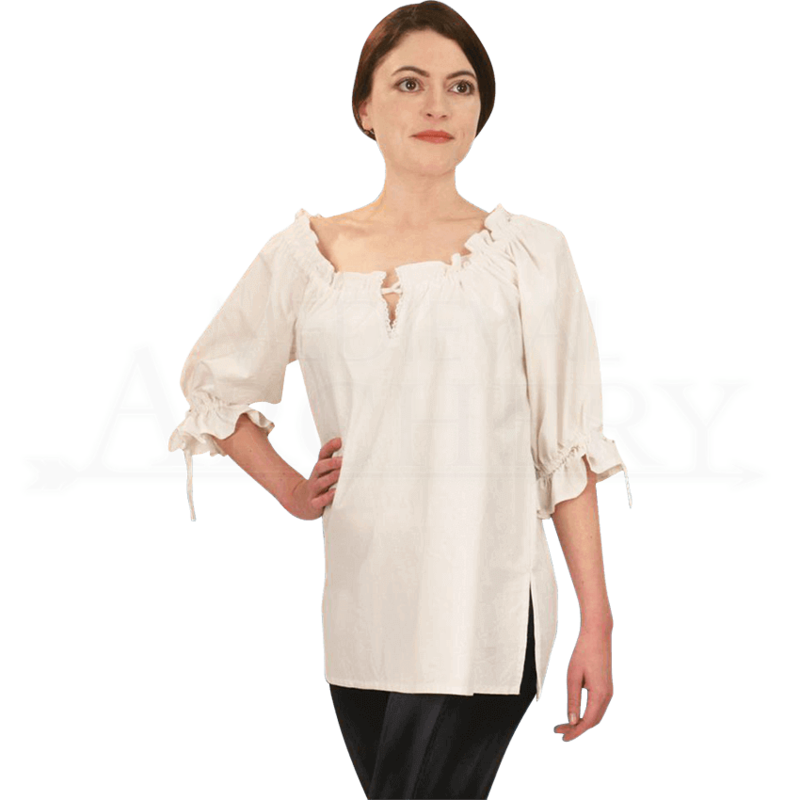 With its authentic historical design, the Ladies Handwoven Medieval Blouse is an essential addition to your roleplay wardrobe.